Robusta: Arabica’s sister or parent? At the end of the 19th century, “Coffee Canephora” plant – the world renowned Robusta, was discovered in Zaire. 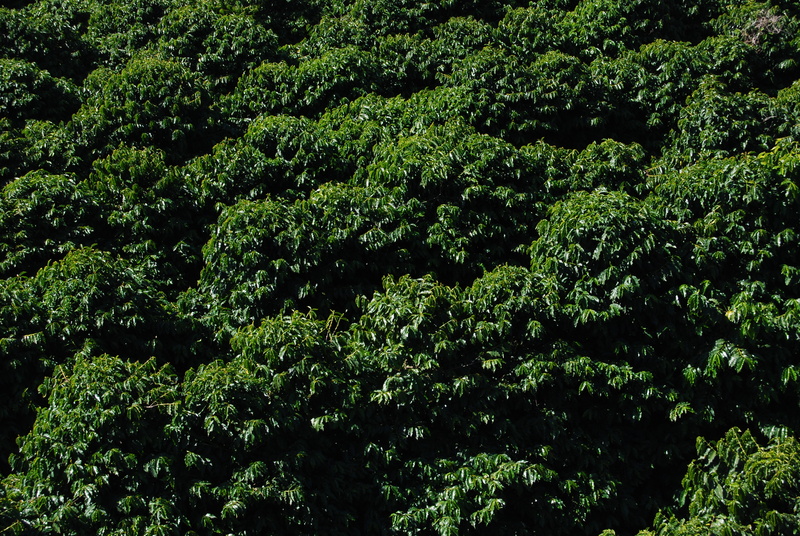 Robusta can grow at very low altitude and in high temperature conditions quite easily. It is a very durable plant, in regards with diseases. The low level of altitude, makes it is easy to be collected. Above mentioned factors, are responsible for a relatively low production cost, but what about the taste and the flavor? Robusta’s world production reaches up to 40% of the total world coffee production. This percentage of course varies from time to time, based on the price and the demand. For instance, a rate increase in the coffee price worldwide, would consequently cause an increase in Robusta’s production, given that multiethnic companies, will look for cheaper alternatives, that the mellow Arabica. A quite interesting fact though, is the observation that, when Arabica varieties have been replaced or even mixed with Robusta varieties, the total coffee consumption, decreased. For several years, Robusta has been strongly related to Italian espresso, but nowadays things have changed, since most of it, is used for instant coffee production. Having that in mind, we are certain that you are able to track a lot of similarities between instant coffee and a lot of over-roasted Italian coffees. For instant coffee industry, price matters way more than flavor. Robusta’s flavor, reminds of wood and burnt rubber, it is quite acrid and these are the reasons why after having tasted such a coffee, our mouth might actually be desperate for water. Robusta varieties, contain very limited acidity, a heavy body and double caffeine compared to Arabica varieties. That is why, we need double as time to absorb Robusta versus Arabica. TIP: Observe how often do you seek for water when you are drinking coffee and in which occasions… Our body knows better! What about lipids? The lipid contents in Robusta coffees do not go over 10%, while in Arabica coffees the lipid content percentage is around 15%, making Arabica coffees more dense and therefore more flavorful. Is there a family relation? Up until recently the world coffee industry, considered Robusta to be Arabica’s “ugly” sister. This assumption came to change, when scientists conducted research related to the genes of both plants and proved that those two species are not siblings. In fact Robusta appears to be Arabica’s parent, as it is alleged that in South Soudan Robusta was crossed with Coffea Euginoides and Arabica was born! The way that coffee has “spread” around the world, proves that we have a world production with common origins!!! There is a slight genetic alteration, a fact that creates a great risk, as a single disease could affect all varieties, just like it happened at the wine industry in 1860 and 1870 due to Phylloxera. Κατα βάση με την φρεσκάδα ενός καφέ προσδιορίζουμε την ημερομηνία κατά την οποία ο καφές μας έχει καβουρντιστεί και πόσες ημέρες έχουν περάσει απο τότε. Για περισσότερο απο 150 χρόνια η Βραζιλία κρατάει τα σκήπτρα ως η μεγαλύτερη χώρα παραγωγής καφε. Αυτή τη στιγμή κατεχει το 1/3 της παγκόσμιας παραγωγής καφε αν και στο παρελθόν είχε το 80 %. Ο καφές ήρθε στην Βραζιλία το 1727 απο την Γαλλική Γουιάνα ενώ ήταν ακομα υπό την πορτογαλική κυριαρχία. Ο πρώτος καφές στην Βραζιλία φυτεύτηκε απο τον Francinsco de Melo Palheta στην περιοχή Para στα βόρεια της χώρας. Σύμφωνα με τον μύθο ο Palheta ταξίδεψε στην Γαλλική Γουιάνα σε μία διπλωματική αποστολή, ξελόγιασε την γυναίκα του κυβερνήτη και του έδωσε σπόρους καφε κρυμμένους σε ένα μπουκέτο με λουλούδια στην αναχώρηση του.